Intel’s family of Intel® Ethernet X520 Server Adapters with SFP+ connectivity are the most flexible and scalable Ethernet adapters for today’s demanding data center environments. The escalating deployments of servers with multi-core processors and demanding applications such as High Performance Computing (HPC), database clusters, and video-on-demand are the types of applications driving the need for 10 Gigabit connections. Customers require flexible and scalable I/O solutions to meet the rigorous requirements of running mission-critical applications in virtualized and unified storage environments. Powered by Intel’s third-generation 10 GbE network controller, the Intel® Ethernet 82599 10 Gigabit Ethernet Controller, the X520 server adapter family addresses the demanding needs of the next-generation data center by providing unmatched features for virtualization, flexibility for LAN and SAN networking, and proven, reliable performance. To ensure maximum flexibility, Intel supports the ability to mix any combination of the SFP+ optical modules, direct attach copper cables, or 1000BASE-T SFP modules on the Intel Ethernet X520 Adapters . For instance, customers can remove the optical modules that come installed on the adapter and replace them with an Intel® Ethernet SFP+ Optic, an SFP+ Direct Attach Copper Cable, or a 1000BASE-T SFP module. 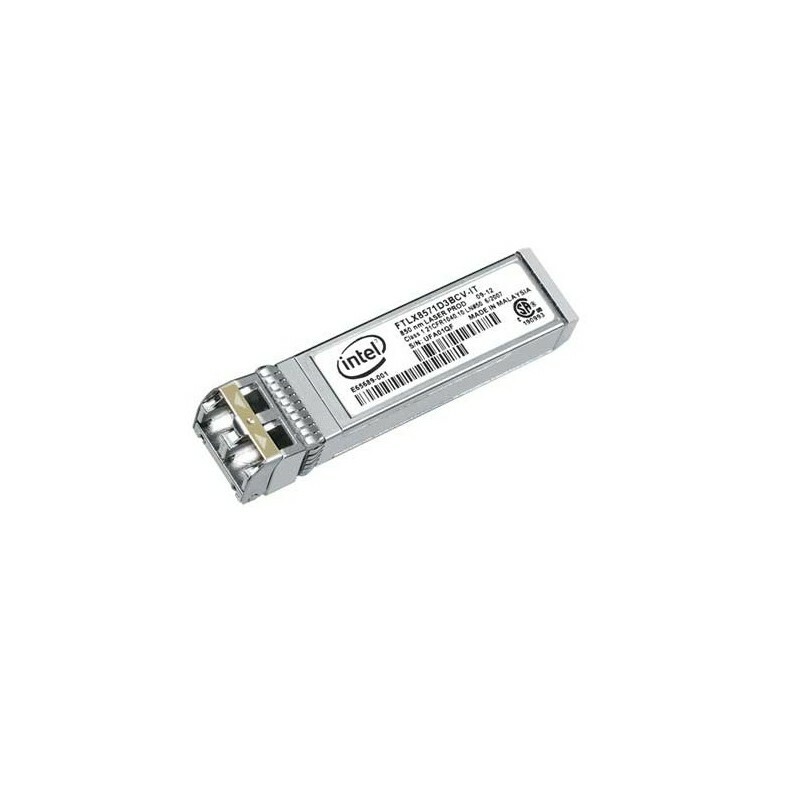 Intel® Ethernet SFP+ Optics are available in both short range (SR) 850 nm and long range (LR) 1310 nm options.